Mennonite Central Committee (MCC) held its first official meeting on September 27, 1920. On July 27 of that year 13 church leaders had met in Elkhart, Indiana, to talk about how North American Mennonites could respond to the needs of hungry people in Ukraine, southern Russia. MCC’s name is a reflection of this coming together of different church groups into one “central” committee. Today MCC is supported by 15 different Mennonite groups and the Brethren in Christ as the relief, development and service arm of the Mennonite and Brethren in Christ churches in Canada and the United States. MCC is involved in development work such as education, health and agriculture, peace and justice issues, relief work and job creation, among other things. It also operates Ten Thousand Villages, which purchases crafts from developing world artisans and craftspersons for sale in North America. In North America MCC is involved in immigration and refugee assistance, job creation, work with Native people, people with disabilities, offenders and victims of crime and more. MCC help is offered to all, regardless of race, religion or political orientation. MCC (International) and MCC US are run out of offices in Akron, Pennsylvania. Mennonite Central Committee Canada (MCCC) was founded in Winnipeg in 1963 through the merger of a number of regional inter-Mennonite service organizations. From the start its founders agreed that MCCC would work closely with MCC (International). MCC operates at both a provincial and national level in Canada. There are five provincial MCCs: British Columbia, Alberta, Saskatchewan, Manitoba and Ontario. Operations in Quebec and Atlantic Canada are the responsibility of the national office. Relations between the two organizations have generally been good, but there have been tensions from time to time. Support for MCC’s worldwide efforts comes primarily from individuals. Other sources of income include relief sales, thrift shops, and donations of foodgrains. The material in this collection consists of eight series which include: Pamphlets, newsletters, correspondence, and reports; Minutes and reports from Executive Committee Meetings and Annual Meetings; Workbooks and report books; International projects and reports on overseas programs; Personnel Committee listings and IVEP Yearbooks; Minutes, correspondence and financial ledgers from MCC Manitoba; Peace Section Mailings and Minutes; and News Service Newsletters. The custodial history of this fonds is not completely clear; however, many of the documents in the collection where received from Leonard Siemens or Jacob J. Toews. Other material was added from various sources such as report books. Harold Jantz donated his copies of meeting minutes (Vol. 1447) from his term on the MCC executive (Acc. No. 2013-29). Volumes 793–794, 796–801, 803–808, 810–812, 1447. Finding aid consists of a series description and file list. The official repository is at the Mennonite Heritage Centre in Winnipeg. Described by Leslie Wiebe, July 19, 2002; updated by Conrad Stoesz, December 12, 2006; updated by Phil Enns, December 2016. Location: Institutional Records – Mennonite Central Committee. I. Pamphlets, newsletters, correspondence, and reports. The material in this series consists of pamphlets about MCC International, MCC Canada and about programs they support. There are newsletters from organizations and departments within the MCC International and MCC Canada. There is also correspondence and reports from various boards and meetings. II. Minutes and reports from Executive Committee Meetings and Annual Meetings. 107 cm of textual records. This series contains minutes, reports, balance sheets, and budgets from executive committee meetings and the annual MCC International and MCC Canada meetings. They show important issues and the financial aspect of the organization. Volumes 794, 796, 797, 1447. III. Workbooks and report books. 109 cm of textual records. This series contains work books and report books from MCC, MCC Canada, and MCC provincial, annual meetings. It also contains some reports and correspondence from MCC provincial organizations. IV. International projects and reports on overseas programs. The material in this series deals with international projects and overseas programs. There are reports and correspondence that show the set-up of these projects and the results of their efforts. V. Personnel Committee listings and IVEP Yearbooks. This series contains directories of personnel within the MCC organization and IVEP yearbooks which shows the students and the activities they participated in. VI. Minutes, correspondence and financial ledgers from MCC Manitoba. This series contains material from MCC Manitoba. There are minutes from meetings, correspondence, reports, and financial ledgers. VII. Peace Section Mailings and Minutes. 56 cm of textual records. This series contains Peace section mailings that are this divisions newsletter to those interested in its activities. There are also some minutes, reports and correspondence that took place with members of the peace section committee. 184 cm of textual records. This series consists of MCC, MCC US, and MCC Canada news service newsletters that report issues from around the world, that tell of various events within the organization, and that contain spiritual articles meant to encourage readers. MCC Introductory Pamphlets. – 1940–1990. MCC Programs. – Pamphlets. – 1956–1990. MCC Projects. – Pamphlets. – 1959–1990. MCC Service Opportunities. – Catalogues and pamphlets. – 1960–1990. Constitutions, Policies, and Handbooks. – 1937–1976. Annual Reports and News briefs. – 1956–1969, 1972–1980, 1998. Intercom Newsletters. – 1966, 1974–1975. Women’s Activity Newsletters. – 1974–1976. Peace Section Newsletters. – 1973–1982. Gulfbreeze Camp Landon’s paper. – 1977–1979. In Action Alisa Craig Boys Farm school paper. – 1955–1960. Educational Papers. – 1966, 1976, 1985-1986. 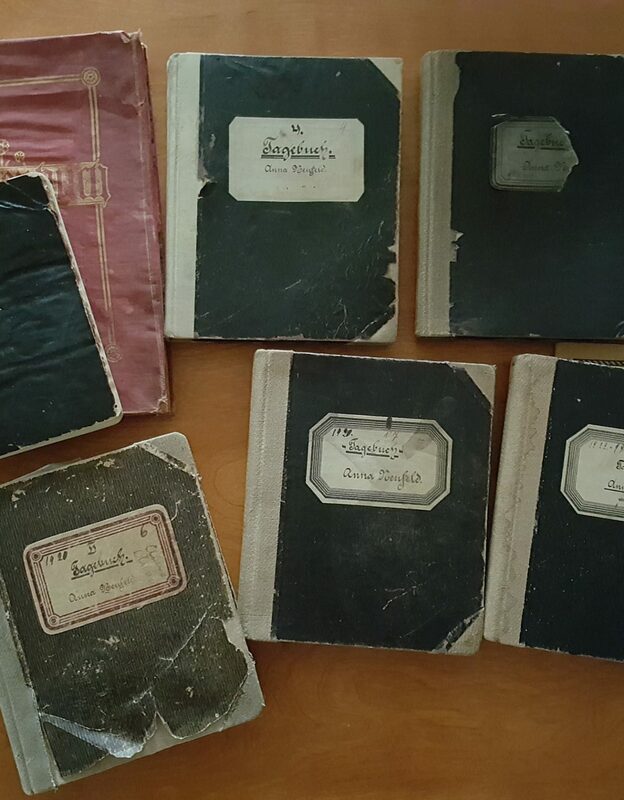 Journals and Poetry of Wilhelm Warkentin. – [197?]. MCC Recruitment Packet. – 1978. MCC Canada Correspondence. – 1973–1975. MCC Canada Correspondence. – 1976. MCC Canada Correspondence. – 1977–1978. Baptist–Mennonite Meeting. – Reports and notes. – 1972. MCC Self Study Reports. – 1973. Church, Industry, and Business Association (CIBA). – Notes and Brochures. – 1974. Canadian Inter-Mennonite Consultation. – Minutes and reports. – 1975. L’association des Eglises Des Freres Mennonites du Quebec. – reports – 1986–1987. Report to the Panel of Public Enquiry into Northern Hydro Department. – 1975. Mennonites in Canada: A Media Guide. – 1995. MCC Canada Moderators and Secretaries Consultation. – minutes and correspondence. – 1983–1984. Alberta, Saskatchewan, and Ontario MCC minutes 1974–1976, MCCA minutes and correspondence 1991-1993. - 1974-1993. Manitoba MCC minutes, reports and correspondence. – 1961–1985. Reports on various Projects. – 1974–1977. Consultation on relief, service, and missions relationships overseas. – 1964. Report on South-East Asia. – 1979. MCC East-West Relations (Russia) – 1972–1975. MCC East-West Relations (Russia) – 1976–1979. MCC East-West Relations (Russia) – 1980–1986. Conference On International Education. – 1966. Other international projects, reports, newsletters. – 1966–1975. Personnel Listings. – 1962, 1970. Mutual Life Pension Plan and Staff Salaries. – 1974–1977. Reports and Correspondence. – 1978. Personnel Listing Books. – July 1965. Personnel Listing Books. – April 1967. Personnel Listing Books. – July 1968. Personnel Listing Books. – January 1970. Personnel Listing Books. – May 1970. Personnel Listing Books. – September 1971. Personnel Listing Books. – January 1972. Personnel Listing Books. – May 1972. Personnel Listing Books. – September 1972. Personnel Listing Books. – January 1973. Personnel Listing Books. – October 1973. Personnel Listing Books. – February 1974. Personnel Listing Books. – June 1974. Personnel Listing Books. – October 1974. Personnel Listing Books. – June 1975. Personnel Listing Books. – October 1975. Personnel Listing Books. – February 1976. Personnel Listing Books. – February 1981. Personnel Listing Books. – October 1982. Personnel Listing Books. – February 1983. Resource Listing of Mennonite and Brethren in Christ Women. – 1988. Mennonite Conference of Eastern Canada Directory. – 1989. Correspondence and Job descriptions. – 1977–2000. Mennonite Disaster Service. – Correspondence, Minutes, Brochures. – 1975–1983. Open Circle. – Brochures and Presentations. – [1970?]. Mennonite Ortskommittee Winnipeg. – 1932–1936. Provinciale Hilfskommittee Nerschiedeone Listen. – 1948–1950. Provinciale Hilfkommittee minutes. – 1949–1959. Manitoba Mennonite Relief Committee. – Receipts and Miscellaneoud. – 1953–1959. Manitoba Mennonite Relief Committee. – Financial Matters. – 1956–1961. Manitoba Mennonite Relief Committee. – Correspondence. – 1960–1964. Provinciale Hilfskommittee minutes. – 1960–1967. Mennonite Central Relief Committee. – Kassenbelege. – 1946–1948. Manitoba Mennonite Relief Committee. – 1950–1955. Hilfskommittee von West Canada (BC, Sask., Manitoba). – 1931. Eden Mental Health Center. – minutes, correspondence, reports. – 1964–1968. Bethesda Home. – minutes, correspondence, reports. – 1947–1961. Minutes of the Historic Peace Conference. – 1959. Mennonitische Hilfswerk zu Manitoba. – annual minutes. – 1946, 1961, 1963. Canadian Mennonite Board of Colonization. – reports. – 1955–1957. Immigration of Mennonites to Brazil and Paraguay. – lists. – 1930–1951. Mennonite Central Relief Committee bulletins. – 1940–1941. 1986 MCC and MCC US. 1987 MCC and MCC US. 1988 MCC and MCC US. MCC and MCC US peace section reports. -- 1989. MCC and MCC US peace section reports. -- 1991. Resource Catalogues and projects. -- 1967, 1983–1984. Peace Committee minutes and correspondence. -- 1948–1959. Peace Committee minutes and correspondence. -- 1960–1969. Peace and Social Concerns Committee minutes and reports. -- 1965, 1971–1976. Peace and Social Concerns Committee minutes, reports and articles. -- 1974–1978. Remembering: Stories of Peacemakers. -- 1982. Brochure for Peacemaker Scholarship Fund. -- 1972. *after 1990 any US News Services are filed with the International News Services. MCC Canada meeting minutes and reports. -- 1995–1996. MCC Canada meeting minutes and reports. -- 1996–1997. MCC Canada meeting minutes and reports. -- 1997–1998. MCC Canada meeting minutes and reports. -- 1998–1999. MCC Canada meeting minutes and reports. -- 1999–2000. MCC Canada meeting minutes and reports (August to December). -- 2000. MCC Canada meeting minutes and reports. -- 2001. MCC Canada meeting minutes and reports. -- 2002. MCC Canada meeting minutes and reports (January to June). -- 2003. MCC Canada meeting minutes and reports (October 2003 to February 2004). -- 2004. MCC Canada 2017 Annual General Meeting report book and meeting summary. -- 2017.